The Wild! 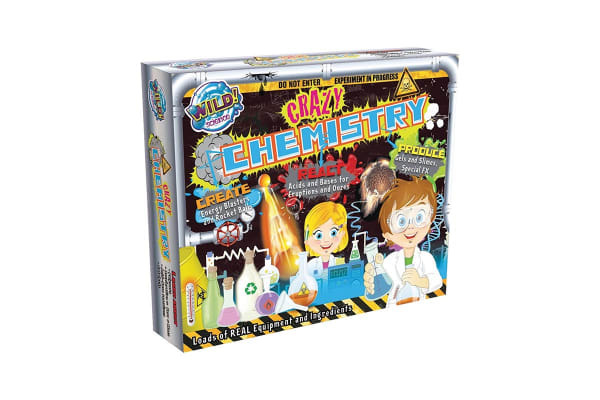 Science Crazy Chemistry set will not only entertain your kids for hours but also ignite their creativity in the sciences. With 3 kits in 1 you get a combination of Hyperlauncher, Slime and Crazy Face kits. That is a lot of fun for your little ones in one box.